A recent trove of mines was a stack of vintage craft magazines from the 80s – a real bargain. There are knitted items, as well as crochet, cross stitch and other crafts. But one of the magazines is Fashion Knits, 4th edition (late 50s/early 60s). The patterns are very typical from that period: I have memories of old photos of my aunts and mother dressed in a similar fashion, although much more simple. I have to admit having a soft spot for folksy (even kitschy) items. 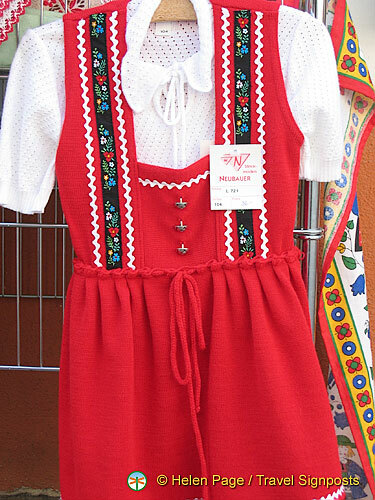 Maybe it’s because of my past stay in the very traditional Tirol (Austria)? Further, these 80s magazines remind me of my late mother and my childhood. Anyway, it doesn’t really matter! That’s one of the many sides of me, with ‘many’ applied in a very extensive way.